These pages are available to provide guidance regarding the use of Brick and CMU Block masonry. Please do not hesitate to contact the MIW office at 425-828-0433 if you need additional information or specific technical information not available here. 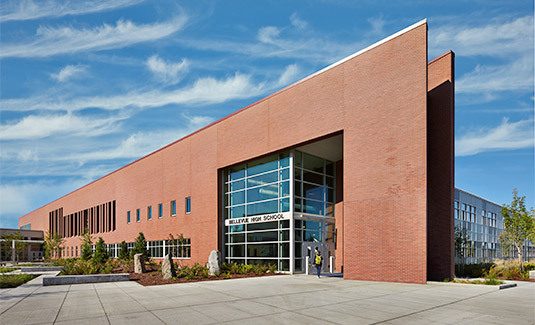 Integral insulated, partial-grouted masonry walls do comply with northwest energy codes. Architectural concrete masonry units can be exposed on both sides in many building designs providing attractive appearance, fire-resistance, and durable surfaces. 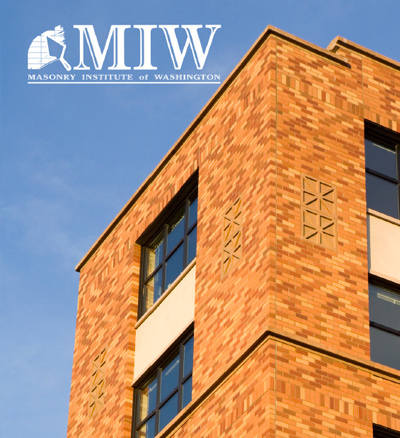 CMU walls can meet Oregon & Washington prescriptive codes through compliance with average U-Factors OR the integral insulated mass wall exception. The use of continuous insulation is an additional option, not a Requirement. Question: What are the different types of mortar joints and in what conditions do you utilize certain joint types? Answer: Mortar joints are ‘struck’ in order to compact and compress the mortar in the joint and create a stronger, more watertight bond with the masonry material. The use of mortar joint types depends on a number of factors including aesthetics, the amount of inclement weather the building is exposed to, and the location of the wall on the building. Some mortar joint types, such as concave, weather and V joints are ideal for exterior use in inclement weather as they allow the water to move of the mortar joint. Raked, struck-flush and struck joints are recommended only for interior use in the Puget Sound region as they don’t shed water as well as other joint options. Question: Where is the 20′ viewing standard stated in a Masonry Guideline? Answer: The 20′ rule comes from the material standards. ASTM C-90 for CMU and C-216 for brick. It has been more broadly applied to walls through project specifications. Usually on commercial projects the sample panel is the basis for judging workmanship.